As a former ReVision Energy company event gate-crasher who was always made to feel welcome, Lyndsay jumped at the chance to join the ReVision team after graduating with a B.A. in German and international affairs and being unable to decide between pursuing a lucrative career as a veggie-farming, alpaca-herding, sweater-knitting, bee-keeping chicken wrangler or as wildly successful, world-renowned novelist. 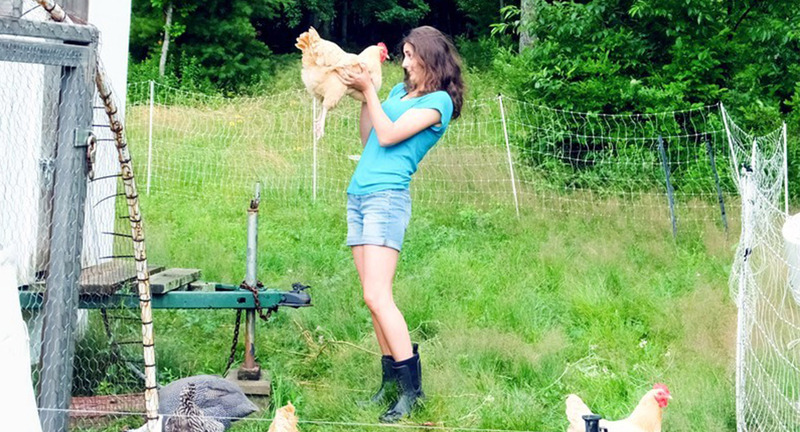 She takes on a wide and varied assortment of tasks to help marketing run smoothly companywide, and when not coordinating things for ReVision spends her time writing, drawing and occasionally wrangling but more often just caring for her chickens.